Stock images are expensive (and rather awful mostly!) and as a business owner, you can’t be amazing at everything! So if you are anything like me, I can produce some nice imagery for my Instagram account, but I don’t have any photography training or an SLR to do some really good shots to represent my blog posts. In this video training, I will show you 2 ways you can find royalty free images that you can use for your social media feeds and blogs. Firstly, I will show you how to change the search settings on Google Images to find free photos. Then I will show you an amazing website called Unsplash where photographers from around the world upload their photos for you to use for free. Click the play button below to begin! I waited until I was 33 to start my own business and become my own boss, but I knew I would be an entrepreneur all the way through my 20s. So whatever doubt or fear you have had about being your own boss and quitting the 9 to 5 grind, don’t worry I’ve been through that too! Here’s 4 reasons you should work on your own terms, and live the life you truly deserve. This is so common when you work in a hierarchy at a 9 to 5 job. Most people will be passionate about various things, be it hobbies, lifestyle choices, or even a dream of what they want to do when they get a new job. Sometimes, they see a colleague in another department doing something and they want to know more. Some people have passions that are completely unrelated to what they are doing. Perhaps you want to be a coach or a masseuse, but you work as a contracts executive in a publishing house. Leaving the comfort of your paycheck to completely change your career is daunting but totally do-able! I did it, and so can you. If you want to find your passion in life, or you know what it is, quitting your day job is probably just about the most empowering thing you can do! 2)Your boss doesn’t listen to you or take in your ideas. When you are your own boss, you can do what you want. Yes, sometimes you make mistakes, but you pick yourself up and start again and well… you’re stronger now. But a boss in a corporate office stops you from making those mistakes, but that also means that you are confined to never being able to try the ideas in the first place. I found that I was talked over a lot in meetings when I worked in a large business. It was a male dominated world and I was very happy to say what I thought, but my thoughts didn’t count at all. Most of my ideas weren’t taken because my colleagues were too confined to the restraints of the sector we worked in. If you feel this way too, you’ll know it’s draining and hard work trying to impress people to produce better results, but knowing that the ideas wont be taken is just demoralising. Working for yourself means that you can join other entrepreneurial communities and surround yourself with like-minded people who will push you on and help you develop ideas. And when you have a mentor or business adviser, it’s hard not to flourish with ideas! When you are in a 9-5 job, everything is structured, and that’s great for some people. I was very happy getting out of unemployment at the age of 22 and into some form of structure where I got up at the same time every morning, got home and ate at the same time at night and did the same things at the weekend. But it also meant that I had a limited lifestyle. I couldn’t have random days off because corporates don’t allow it. You couldn’t work at different times, and sometimes you are even made to feel awful that you have a Doctor’s appointment! It’s also hard to visualise your future, whether that be the short term where you want to go away for the weekend or on your next holiday – you might just be able to afford it but you might have to scrimp and save. Being an entrepreneur means you are in control of your own destiny. With the right money mindset, you can manifest what you want to with your job; set the right price for your clients or product and get your marketing right and you will find that living from paycheck to paycheck is no longer necessary. You will start to realise you can afford impromptu weekends away in another country, or that you can buy that iWatch you have been eyeing up. Put your fate in your own hands, not in someone else’s. I always like to say – if you don’t follow your dreams, you will end up working for someone who did. In England, the legal minimum amount of holidays is 20 days plus bank holidays, and most corporates offer 25 with extra time offered for length of service. So this is 4 to 5 weeks annual leave per year. If you are looking to go travelling, you need a bit more time than that! So this is why so many people don’t go travelling once they are out of university and into a job, because of the security of having a paycheck and not having enough time off. If you work for yourself, you can decide when and where to take holidays. If you are an online entrepreneur, you can put your business on automation whilst you are away so that you can even still earn money whilst you are gone. These are things like scheduling social media posts and using autoresponders on emails. Within the first 2 weeks of setting up my business, I went away on my honeymoon and came back to 12 leads in my inbox! So what are you waiting for… fire your boss already! Working online is NOT a quick win, or get rich quick scheme BUT with the effort that you put in, it can happen much quicker than a traditional offline business. 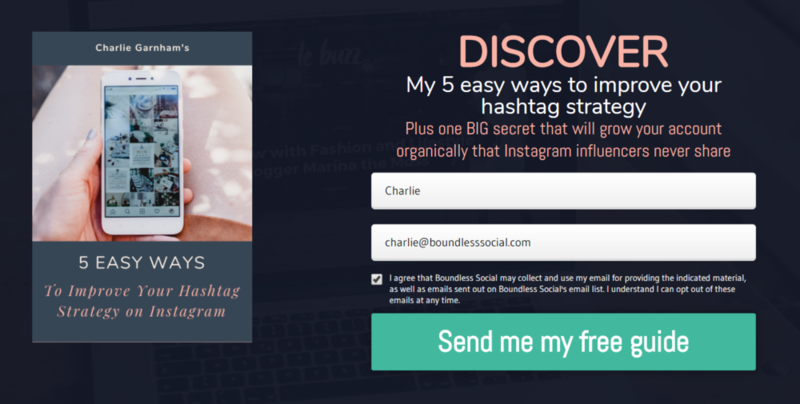 You don’t have to have thousands of followers on Instagram to make your first sale. Check out the exact Social Media Blueprint that I used to learn about how to start an online business. NB the link above is an affiliate link where I will receive 40% commission on the $7 sale if you choose to purchase.